That is very unusual - where is it? I am guessing Germany. What an interesting structure, where was it? What a great sight, was it at a market? 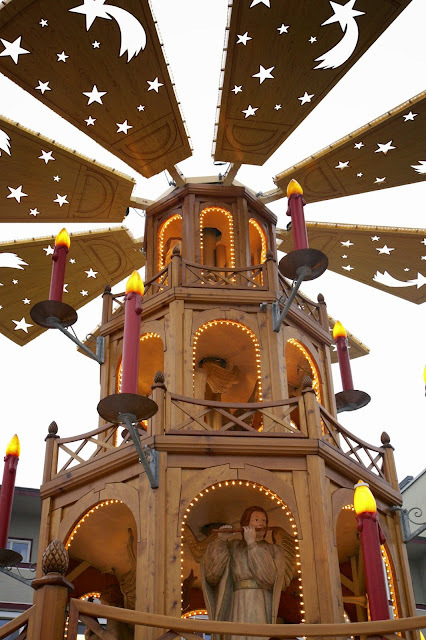 yes, this is at a traditional Christmas market in Germany. Love the markets, so festive! I wonder where this is.... looks very central European? That's quite an unusual glockenspiel. Lots of great details on it. oh wow this is so fabulous. wonderful shot.